Bengaluru, Karnataka, India: Vishwaraj Jadeja, India’s Fastest Long-Distance Ice Speed Skater, has gone on to set world records to put India on the map for Ice Skating. He trains as an elite athlete in the Netherlands and undertakes numerous adventure expeditions related to Ice Skating. Hailing from a family of national level athletes, Vishwaraj has always been a sports enthusiast. With a special interest in roller skating, he rose to the level of captaining the Indian national team. Of course, like every athlete who loves their sport, he had only one dream and one goal - representing India at the Olympics. Unfortunately, roller skating isn’t part of the Olympic sports, and that made him look for similar opportunities to explore. It is then when he came face to face with ice skating and decided to go to Europe to train and master the sport. Of course, upon reaching the Netherlands, he realized that switching to ice skating from roller skating wasn’t going to be easy, and he dealt with his fair share of ups and downs until he met his current coach Wim Nieuwenhuizen, who is known to be one of the toughest coaches there is. 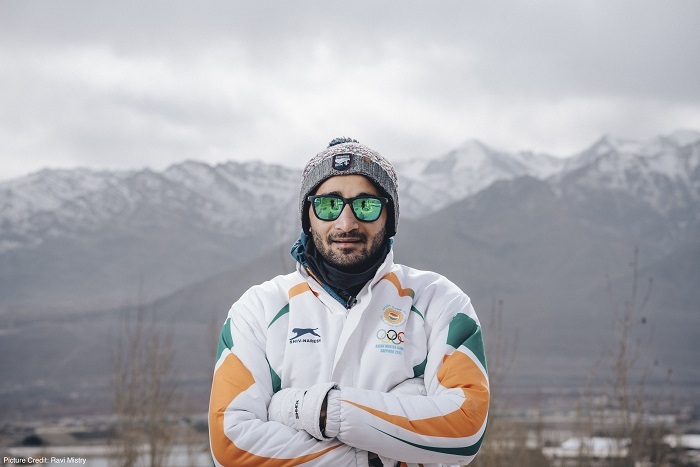 With a simple statement, “If you are crazy enough to come to my country to master my sport, I’m crazy enough to coach you,” began Vishwaraj’s journey as an ice speed skater. His training sessions were as crazy as one can imagine (think about an average of 5-6 hours of training, daily). He also spends a great amount of time on his cycle with the aim of 10,000 kms per year as part of his training and fitness program. With these victories in hand he has his eyes on the Winter Olympics in 2022 and other international platforms like the Masters World Games (2020), the World Winter Games and the Asian Winter Games (2021). He also has a number of international races coming up where he will be representing India. Apart from that, he has his heart set on exploring frozen lakes across the world (between the altitudes of 4,000 metres - 5,500 metres) starting on the home turf.